Red Bull KTM talent anticipating riding return in late April. Reigning champion Jeffrey Herlings has reaffirmed his commitment to the 2019 MXGP World Championship despite speculation previously linking him to campaign in the Lucas Oil AMA Pro Motocross Championship. 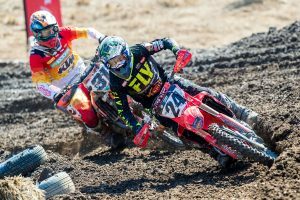 The Red Bull KTM Factory Racing rider broke his right foot at the end of January in a training incident, sidelining him for at least the first four rounds and resulting in increased talk of the Dutchman plotting an assault on the American pro circuit after being ruled out of grand prix title contention. Today the Austrian manufacturer released a statement revealing Herlings will in fact remain in the world championship, with an anticipated return from injury scheduled for late April. 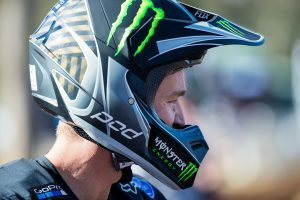 “Rehab has been going very well and I cannot wait to be back and to throw a leg over the bike again,” Herlings explained. “I want to be back at the GPs as quick as possible but we cannot say which race yet until I get some riding time. 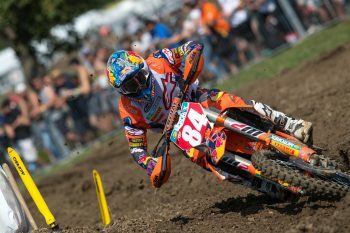 The MXGP World Championship resumes for round two this weekend at Matterley Basin in Great Britain.